Texas-size events fill this three-day weekend: 100,000 are expected to line the streets of Cowtown for the Fort Worth Stock Show and Rodeo's parade, while some 300,000 will march in San Antonio's Martin Luther King Jr. event. 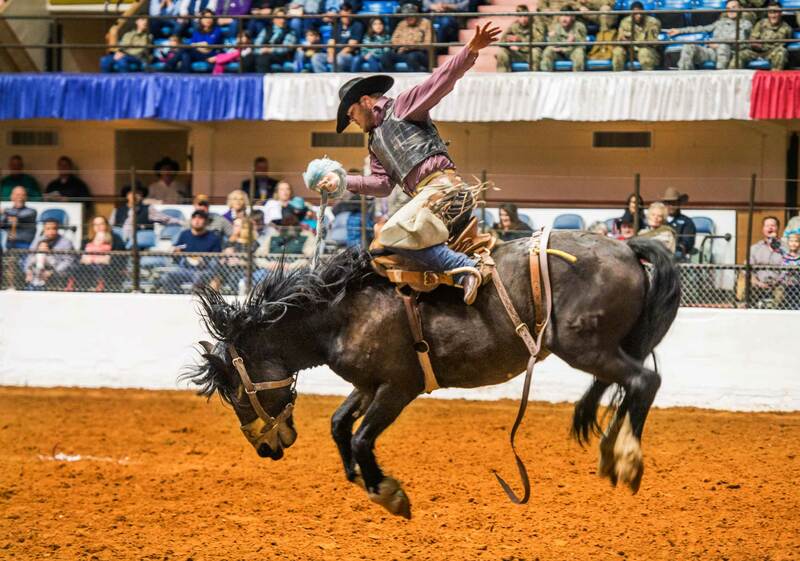 Established in 1896, this popular event attracts nearly one million people from around the world for the nation’s oldest livestock show and daily performances of the world’s original indoor rodeo. On Jan. 19, more than 100,000 spectators are expected to line the streets of downtown Cowtown to watch the spectacular All Western Parade. The 62nd annual project of the Greater Houston Coin Club, this event features more than 120 local, regional, and national dealers in coins, currency, medals, jewelry, and bullion. The public can buy, sell, swap, trade, and get free advice on coins and related material. Quality exhibits are on display, and a Boy Scout Merit Badge clinic is held. There are many free kids activities on Saturday and hourly door prizes. Square dancing is a family-oriented, fun activity for all ages from early teens to nonagenarians. You have the opportunity to meet the officers from the Texas State Federation of Square and Round Dancers, plus many other officers and dancers from all over Texas are there. There is free admission for non-square dancers. Square and round dance lessons are offered throughout the year by local clubs. This festival celebrates Rains County being declared the “Eagle Capital of Texas” by the Texas Legislature in 1995 as part of an effort to protect and preserve the American Bald Eagle. Lake Fork, Lake Tawakoni, and the surrounding areas are nesting and feeding grounds for bald eagles and more than 260 other varieties and species of wild birds. The highlight of the festival is the bus and barge tours to the lake to see the bald eagles in their natural habitat. The festival venue includes bird and animal exhibits and programs, live entertainment and music, as well as educational speakers. This 12th annual celebration features local, regional, and Texas blues artists in historic Luckenbach Texas. The Fredericksburg Rockhounds bring artifacts, exhibits, demonstrations, jewelry, minerals, fossils, and more to this 50th annual event. The train show includes two full days of clinics and many home layouts on tour. Explore the geography, wildlife, and conservation issues of the homeland to most of Fossil Rim Wildlife Center’s exotic species. Discover the components and the dynamic balance of a savannah ecosystem. San Antonio hosts ones of the largest marches in the nation, with approximately 300,000 participants. 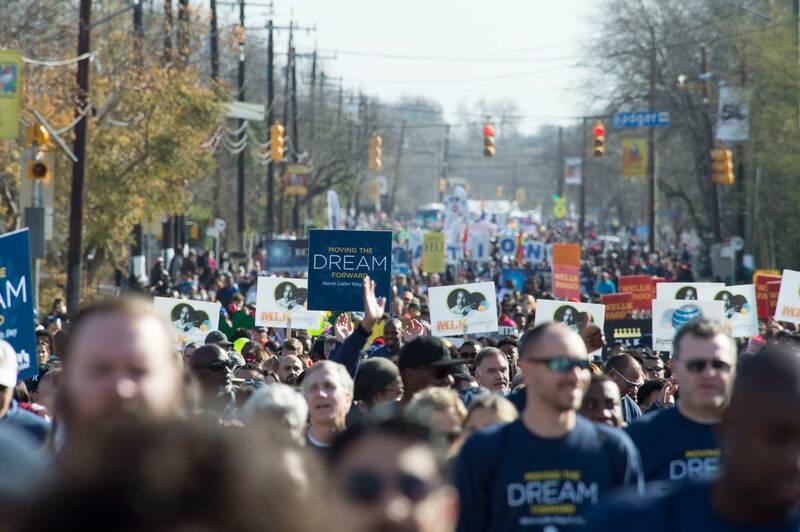 The City of San Antonio’s Martin Luther King, Jr. Commission will continue its commemoration of the civil rights leader’s legacy by celebrating the 51st anniversary of the first March for Justice organized by the late Rev. Dr. Raymond “R.A.” Callies, Sr., a San Antonio teacher and pastor. Afterward, journalist, humanitarian, and activist Shaun King is the keynote speaker at a commemorative program in Pittman-Sullivan Park. Join as the Black Heritage Society and the city honors the legacy of Dr. Martin Luther King, Jr. during the federal holiday weekend with a commemorative parade and community activities—this year marks the 41st annual event. The event celebrates the civil rights leader’s birthday with a spoken word competition, a step competition featuring the best in grade school stepping, a musical with more than 400 youth voices joining together in song on one stage, and a day of service. Join the march from the MLK statue at the University of Texas campus to historic Huston-Tillotson University to celebrate Dr. Martin Luther King, Jr.’s legacy for Austin and the world.